Condos just won’t stop coming. St. John’s University announced Friday that Fisher Brothers and The Witkoff Group have acquired Tribeca’s 101 Murray St for$223M,and Crain’s reports that they’ll redevelop it into luxury condos, inspired in part by the success of 56 Leonard. Here’s where sales and construction stand on that one and tons of others around the city. 1. 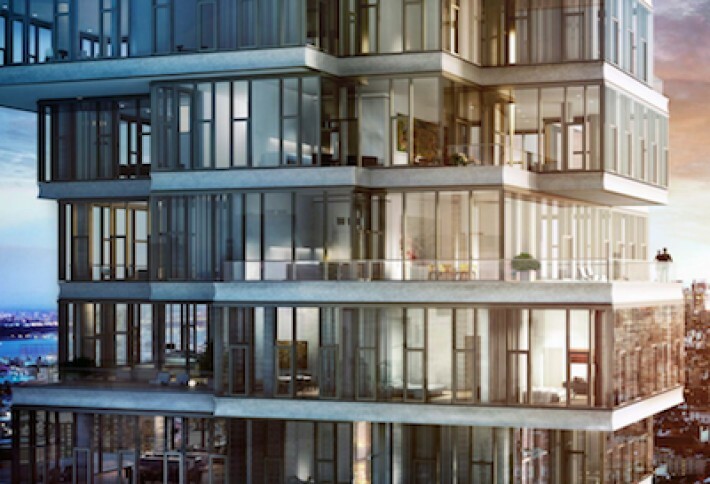 56 Leonard, TriBeCa Two months after hitting the market, 70% of the 145 units are sold in this soon-to-be icon from Alexico Group, Hines, Dune Real Estate Partners, and Goldman Sachs funds and designed by Herzog & de Meuron (Beijing’s Bird’s Nest). Alexico president Izak Senbahar says concrete is being poured on the fourth floor. When delivered in summer 2015, the 60-story building will be Tribeca’s tallest, and it’ll offer a 75-foot lap pool, screening room, lounge, fitness center, kids’ room (last year’s big new luxury amenity), and a private dining room (this year’s big new luxury amenity). The two- to five-bedroom units range from 1,400 to 6,400 SF, plus eight full-floor penthouses and two half-floor ones, and go for $6.5M to $40M. 2. 432 Park Ave, Plaza District We snapped this of Macklowe and CIM Group’s endeavor, now 10 stories out of the ground. When it delivers in 2015 at 1,396 feet, it’ll be the tallest building in NYC and the tallest residential building in the Western hemisphere. (We once took a nap at the Willis Tower after climbing all those stairs, so shouldn’t that count as residential?) It boasts views not just of the Hudson and East Rivers but also the Atlantic Ocean. More than a third of the units are under contract. 3. 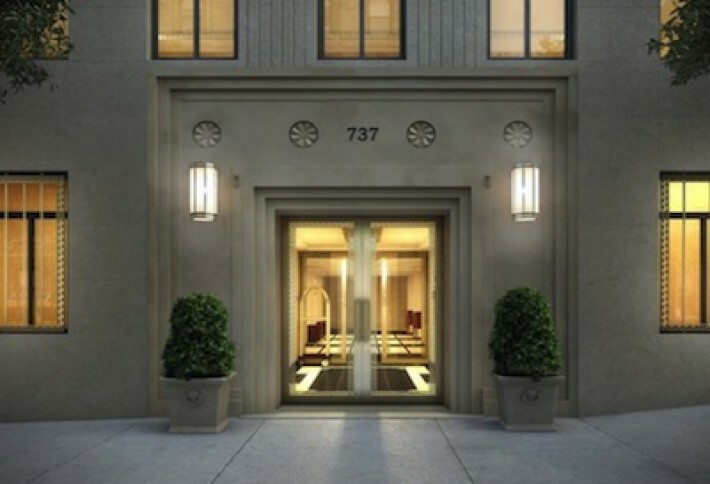 737 Park Ave, UES Go big and go home seems to be a new rallying cry around NYC, as larger units are all the rage. Macklowe has reclaimed 90% of the 102 units in its 20-story property at 71st Street and Park and combined them into 60 big’uns: mostly three to six bedrooms, 3,000 to 6,000 SF. 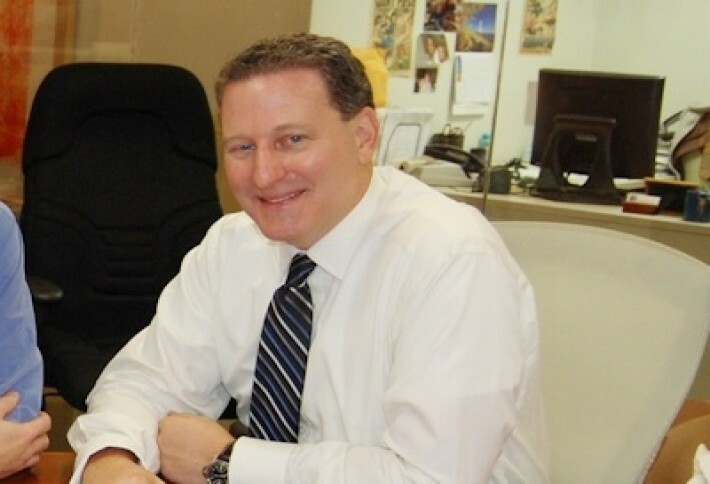 A month after the sales office opened, a third are spoken for, a spokesperson tells us. They cost between $4.5M and $30M and will be ready this summer. 5. Citizen, 124 W 23rd St, Chelsea/Flatiron This one went from boom to bust and back to boom.Anbau Enterprises’ 16-unit, 29-story project on the former site of a pair of brownstones was conceived five years ago, shelved during the downturn, and restarted in 2010. 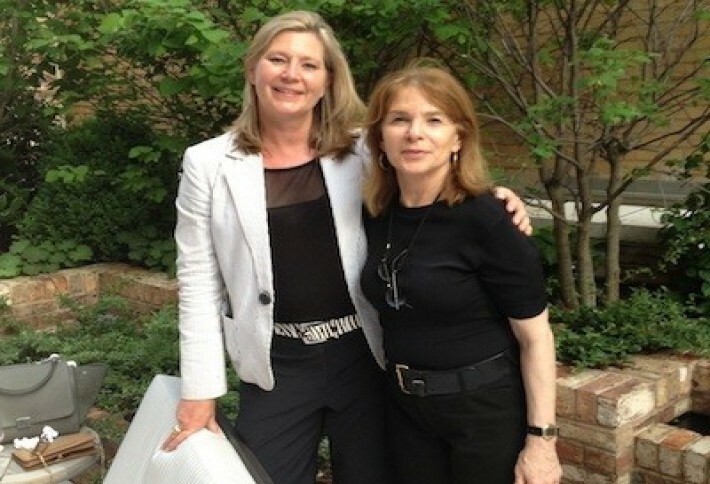 Corcoran’s Shelley O’Keefe (snapped Wednesday with colleague Iva Spitzer at the property’s broker open house) tells us sales started in April 2012 and went so well that Corcoran closed the sales office through the summer until the property delivered this past fall. Sale prices after the summer break were 24% higher, and now just four units remain. 7. 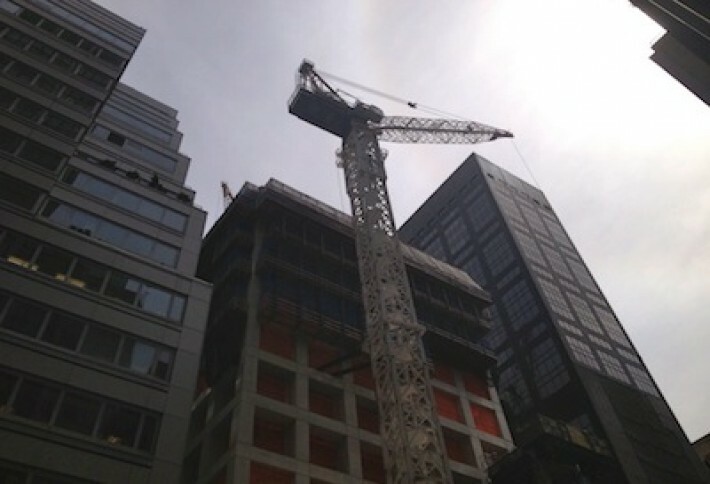 Park Lane, Harlem Harlem condo prices have been swelling since September 2011, says Warburg’s Charlie Lewis, who sold the last 13 of Tahl Propp Equities’ 24-unit Park Lane Condominums at 118 W 112th St. Last summer, he also sold out 42 W 120th and 411-421 Manhattan Ave, and now there’s no condo supply for sale in the submarket. 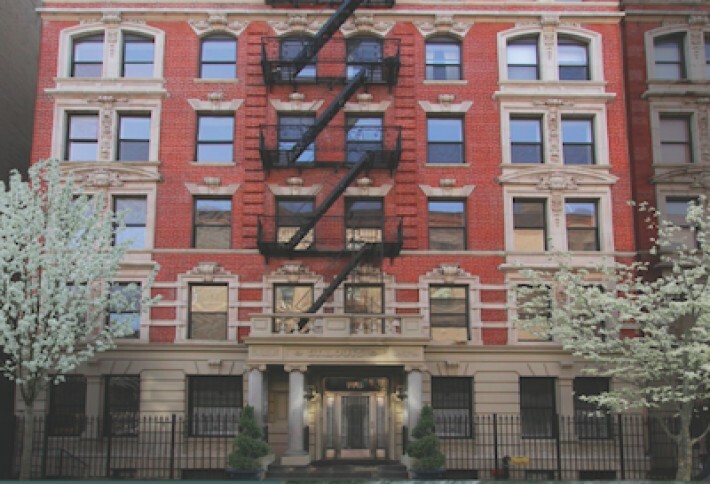 He has two more conversions (710 Riverside Dr and 305 W 150th St) coming to market around the turn of the year and says Harlem is transitioning just as the UWS did in the ’80s, though now the apartments are converting to condos instead of co-ops.